Are You Paying Too Much To Ship Your Online Purchases? Why Pay For Something You Can Get Free? The Results Below Are To Be Used As An Estimate Only. Please note that the figures above are estimates and are to be used only as a guide. 130 Endeavour Connector Rd, Chaguanas, Trinidad W.I. In this agreement “we,” “our,” and “us” refer to Blue Sky Shipping Limited., its affiliates, contractors, employees, agents, and subcontractors. “You” and “your” refer to the subscriber, member, box holder, customer, receiver, consignee, its employees, agents and anyone claiming an interest in the shipment. “Package” or “packages” means any container, goods, merchandise that is accepted by us for delivery. “Shipment” or “shipments” means all mail and/or packages which are tendered to and accepted by us on a single house air waybill. By activating and using the Blue Sky Shipping Limited services, you acknowledge that you have read, understood, and agree to accept the Terms and Conditions of this agreement. You agree that your shipments may be carried through intermediate stopping places including a country other than the country of departure and we may substitute alternative carriers or aircraft. The following are services provided and restrictions applied by Blue Sky Shipping Ltd.
Blue Sky Shipping Ltd. is not liable for damage or loss of items while handled by overseas Postal and Courier authorities. Hazardous materials, perishables, animal skins, firearms, aerosol cans, perfumes etc. We do not accept nor deliver any mail or magazines subscriptions. We do not accept for shipment cash, currency, or other security instruments. Hazardous Materials and Dangerous Goods Any packages or goods, which are considered by the Department of Transportation (DOT), the International Air Transportation Association (lATA), and/or the International Civil Aviation Organization (ICAO) as “restricted articles”, “hazardous material”, or “dangerous goods”, maybe sent into Trinidad either via airfreight as cargo or via Ocean shipping. Commonly-shipped items such as perfumes will automatically be sent via Ocean shipping, which can take approximately 2 weeks to arrive locally. Customers requiring the faster option of shipping Hazardous items via Air Freight should contact us to make the required arrangements and costing estimates. The cost associated with this will be handled on an individual basis and is not based on the rates mentioned on this site. This is primarily due to the cost associated with the special handling, packaging and paperwork required to handle hazardous material or dangerous goods. You agree to use Blue Sky Shipping service only for lawful purposes and conform to all federal, state, local government and postal regulations in the U.S. and Europe. You further agree that you shall not use, nor permit the shipping address to be used to send, deliver, receive, or store items of unusual intrinsic value such as cash, negotiable securities, jewelry, furs or the like. Blue Sky Shipping Ltd fees are calculated based on the actual weight of items rounded up to the nearest pound(lb) e.g. a 2.3lb package will attract a 3lb rate. Packages that are excessively bulky may require repacking at client’s cost. Contact our office for further details. One individual or company will be listed as the Primary account holder and a maximum of two other individuals can be listed as Authorized Contacts. The Primary Account Holder will be responsible for all charges and delivery is made to only one address. A commercial invoice (or any invoice), regardless of the value must accompany all non-document shipments. A delay may occur, pending receipt of proper documentation. Customer’s shipments consisting of books, CD’s, clothes, documents etc., will be cleared automatically as “Non-Trade”, unless prior arrangements have been made in writing. Customs & Excise requests that a “Formal Entry” be done for “Trade”shipments that are “Dutiable”: therefore, you will receive the necessary documentation for clearance in these instances. 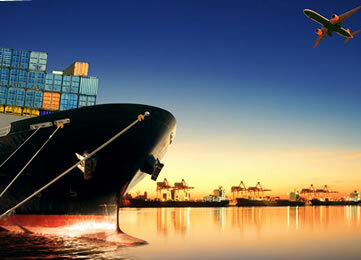 Blue Sky Shipping Ltd. can assist in the preparation and lodging of “Formal Entries”,should you so require. Duty paid on “Non-Trade” shipments (on your behalf) is C.O.D. ONLY. Note* ‘Non-Trade’ shipments are packages imported for personal use. Trade shipments are packages imported for commercial use and/or value which exceeds the legal amount $20,000 TTD for ‘Non-Trade’ Customers choosing Corporate and Platinum accounts are subject to penalties if they do not ship the minimum freight weight requirements. We will refuse any item shipped to our address damaged or opened and will notify the consignee provided the package still permits identification of the relevant consignee. No claims will be accepted nor honoured by us with respect to these items, and we will have no liability or responsibility. The responsibility of Blue Sky Shipping Ltd. begins when the packages are received at the warehouse of the agent in Miami. Blue Sky Shipping Ltd will not be held liable for packages that are lost, delayed or damaged while in transit to the warehouse. We are not liable for delays in delivery, damages of any kind (whether direct, indirect, incidental, special, or consequential) including but not limited to loss of income, loss of interest, loss of profit, loss of business opportunity, loss of use of contents, breach of other contracts, or any loss or damage arising from the inherent nature of the goods, whether or not we had knowledge that such damage might be incurred, even if the delay is our fault in retrieving the shipment, transporting the shipment, or delivering the shipment. We will not be liable for your acts or omissions, including but not limited to incorrect declaration of goods, improper or insufficient packaging or marking or addressing of the shipment, or for acts or omissions by the consignor or consignee or anyone else with an interest in the shipment. The customer shall be responsible for ensuring that an invoice accompanies every shipment. Failure to do so may result in delays and abandonment of shipments. Where shipments arrive without proper documentation Blue Sky Shipping Ltd will ship the goods into Trinidad and notify the consignee in Trinidad. Blue Sky Shipping Ltd. will provide the customers with a delivery notification and a copy of the air way bill to be presented for clearance. This will end Blue Sky Shipping Ltd responsibility for the goods and payment will become applicable immediately. The customer may choose to have the supplier produce a duplicate invoice and have it sent to Trinidad or may present evidence of value to Customs for clearance. All necessary storage fees will be for the consignee’s account pending an invoice being produced for clearance. Also, we will not be liable if you or the consignor violates any of the terms of the agreement. Also, we will not be held liable for loss, damage, or delay caused by any events we cannot control, including but not limited to acts of God, “force majeure”, or the action or omissions of any governmental or public authority (including but not limited to customs or health officials), or omission by anyone outside of us. We reserve the right, without admitting liability, to refund transportation charges at our sole discretion, but are not obligated to do so. Insurance is charged at a rate of $1.00 USD per $100 USD value of your package up to $300USD. Any package received without an invoice will only be insured for maximum of USD$100.00. Any other glass, porcelain, ceramic or concrete products. Any improperly or inadequately packaged items from shipper. Shipping charges are not covered by the insurance. We will provide you with an official physical street address for your exclusive use. The rights to the physical street address belong to us. Access to the foreign addresses is restricted solely to our personnel. You are only permitted to have packages sent to the shipping addresses and to have the shipments on-forwarded to destination. Blue Sky Shipping Limited standard delivery service is to deliver free of charge to your office/home address. We will make two (2) attempts to deliver your packages between 8:00 a.m. and 4:00 p.m., Monday through Friday. If no one is available to receive your packages, a note will be left to advise you of a failed delivery attempt. Your packages will then be brought back to our facility where you may collect or make arrangements to have the packages redelivered. There is no charge to collect at our office. However, there will be a storage fees of $10.00 TT for EACH day per shipment until collected. If you do not require Blue Sky Shipping standard delivery service, you can send a request for your packages to be held for collection at our facility. This request must be sent via email to logistics@shipbluesky.com before 3.00 pm the day before delivery. There will be a storage fee of $10.00 TT for EACH day PER shipment if not collected 24 hours after the arrival date. We will identify packing materials (i.e. cartons, boxes, tubes, envelopes, etc.) that are opened or in damaged condition upon arrival at our physical address, and shall make a notation that the shipment was opened or in damaged condition. No claims will be accepted nor honored by us with respect to these items, and we will have no liability or responsibility. In consideration of the international transportation charges for the movement of unspecified packages by Blue Sky Shipping Limited it is agreed that we will have no liability to you. We are not liable for delays in delivery, damages of any kind (whether direct, indirect, incidental, special, or consequential) including but not limited to loss of income, loss of interest, loss of profit, loss of business opportunity, loss of use of contents, breach of other contracts, or any loss or damage arising from the inherent nature of the goods, whether or not we had knowledge that such damage might be incurred, even if the delay is our fault in retrieving the shipment, transporting the shipment, or delivering the shipment. We will not be liable for your acts or omissions, including but not limited to incorrect declaration of goods, improper or insufficient packaging or marking or addressing of the shipment, or for acts or omissions by the consignor or consignee or anyone else with an interest in the shipment. Also, we will not be liable if you or the consignor violates any of the terms of the agreement. We do not accept for shipment cash, currency, or other security instruments. Also, we will not be held liable for loss, damage, or delay caused by any events we cannot control, including but not limited to acts of God, “force majeure”, or the action or omissions of any governmental or public authority (including but not limited to customs or health officials), or omission by anyone outside of us. We reserve the right, without admitting liability, to refund transportation charges at its sole discretion, but are not obligated to do so. We make no warranties, express, or implied. As per the transportation Security Administration (TSA) Regulations. All shippers and/or consignees sending merchandise to International Bonded Couriers Inc. in the U.S. for transport: by reading this message we have your consent for screening all merchandise/shipments. Inclusive of opening, search, or inspection, and understand that shipments will be refused if found to be dangerous or illegal for air transport. The shipment may, at our option or at the request of governmental authorities, be opened and inspected by us or such authorities at any time. Opening an account with Blue Sky Shipping Limited does not qualify you automatically to open credit with us. Open credit is granted by accounts department at their sole discretion. It may be revoked immediately if our terms and conditions agreed are not met. We reserve the right to request full or partial payment on any shipment at anytime, if the amounts exceed the usual line of credit we are prepared to grant. With respect to Blue Sky Shipping Limited, even if you give us different payment instructions, you will always be primarily responsible for all charges including transportation charges, all duties, customs assessments, governmental penalties and fines, taxes, brokerage fees, outlays, and our reasonable attorney fees and legal costs and disbursements related to this package in the case of default in payment. You will be responsible to pay for all the charges associated with all packages you receive, even if the packages received were unsolicited by you, were received opened or in a damaged condition, or the contents fail to correspond to the items you ordered. You will also be responsible for any costs we may incur in returning the shipment to you, the consignor, or warehousing it pending disposition. We are not obligated to advance any customs, government, or carrier’s fees or assessments, penalties, fines, or any other accessorial clearance fees, and may at our sole discretion request certified funds or cash from you before submitting an entry for clearance to Customs. We have the right to suspend service should your account not be in good standing, until the amount due is paid in full, and you expressly acknowledge and agree with this right. In the event that payment is not made prior to or upon delivery, the outstanding balance shall bear an additional service and handling charge at the rate of 1½% per month and we may turn the said account over to an attorney for collection. If we turn the balance over to an attorney for collection, there shall then be added to the balance due, as and for attorney fees, the actual reasonable fee to be paid to the attorney for his services. Any dispute hereunder, including any dispute or claim which you may have, shall be heard exclusively in the courts of original jurisdiction, Port of Spain, Trinidad, The West Indies and you agree to submit to the jurisdiction of said courts. If any provision herein is found to be invalid, unenforceable, ambiguous and/or illegal, such provision shall not affect the remaining provisions, and such remaining provisions shall continue in full force and effect. Any shipment that has not been accepted or claimed by the consignee or is undeliverable due to error or omission on the part of the shipper, consignee, or for which no disposition instructions have been provided within the 30 days of its arrival shall be considered unclaimed/abandoned. Shipments will also be deemed unclaimed/abandoned unless Blue Sky Shipping Limited Express has been instructed in writing to hold all shipments at its location for pick-up. Blue Sky Shipping Limited may dispose of or sell by public or private sale or discard any unclaimed/abandoned packages at its sole discretion. You agree to pay all charges imposed by the Government of Trinidad & Tobago, or any other government and/or agency, and/or the carrier with respect to your mail and packages. You agree to pay any customs clearance charges imposed by us or our affiliates with respect to your mail and packages. We reserve the right to adjust our charges to reflect any significant fluctuation in the exchange rates and you agree to pay any and all such additional charges with respect to your mail and packages. Shipments valued under TT $20,000.00 CIF (Cost, Insurance, and Freight) will be cleared automatically as a “Non-Trade Entry” by us unless prior arrangements have been made by you in writing to Blue Sky Shipping Limited’ Trinidad office. “Non-Trade” shipments are packages imported for personal use only. For shipments valued under & over TT $20,000.00 CIF (Cost, Insurance, and Freight) the Comptroller of Customs and Excise requests that a “Formal Entry” be submitted for “Trade” shipments. “Trade” shipments are packages imported for commercial use and not for personal use. Upon receipt of your written authorization and power of attorney, we will prepare, make an entry, and clear the goods on your behalf for an additional fee. If you prefer to process the shipment yourself the inbound paperwork will be delivered to you. Duties, taxes, VAT, levies, imposts, deposits, or outlays, and other charges are not included in the shipping rates and will be determined by Customs, agencies, carriers, or similar authorities using the vendor’s or supplier’s invoice that accompanies the goods. Your subscription is free of charge and does not require any renewal fee. We can terminate this agreement without notice. You will still be held responsible for all charges resulting from arrival of any and all mail and/or packages. In addition, upon termination we will have the right to return all mail or merchandise to the sender and charge your account for that service based on the published courier tariff in effect at that time. BLUE SKY SHIPPING LIMITED RESERVES THE RIGHT TO REVOKE, ALTER, ADD TO OR AMMEND ANY OF THE TERMS AND CONDITIONS, IN ADDITION TO ANY SERVICE, FEATURE, OR RATE WITHOUT NOTICE.